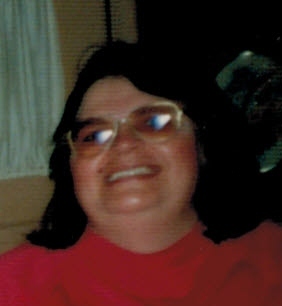 Rose A. Reist, 67, of 108 Oak St, Warren, PA. died Monday morning, October 1, 2012 at the Warren Manor Nursing Home after a month long illness. She was born September 10, 1945 in Warren, PA. to the late Charles W. and Mina C. Stoddard Reist. She was a 1963 graduate of Warren High School and earned her associates degree in business at Jamestown Business College. Rose was employed with PNC Bank East Side Branch and the Warren Holiday Inn. She retired in 2007 from Blair Corporation as a Customer Service Representative. She was a member of the Warren Salvation Army congregation. She enjoyed crocheting and being a “AUNT” to her family and persons she wasn’t even related too. Life Long and grade school friend, Nancy Stanko of Warren, PA., several nieces, nephews, great nieces and great nephews. In addition to her parents, she was preceded in death by 2 Brothers – Richard H. and Robert C. Reist, 1 infant brother and sister. A private funeral service will be conducted at the convenience of the family. Interment will be in Oakland Cemetery. Those wishing to place memorials may do so through the Warren Salvation Army, 311 Beech Street, Warren, PA. 16365. The Donald E. Lewis Funeral Home, Inc. has been entrusted with funeral arrangements. Bye, bye Rosie, see ya on the other side. Rose, I always appreciated seeing your smile and hearing your laugh.